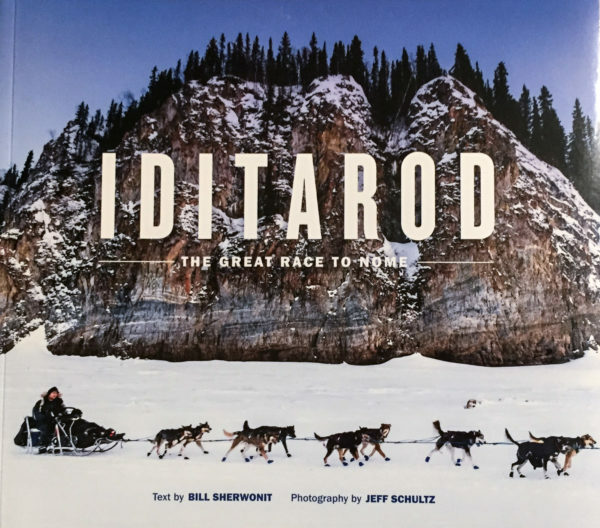 This book was originally researched and written by former Anchorage Times outdoors and sports writer Bill Sherwonit in 1991 and published by Northwest Books then under the same name “IDITAROD—The Great Race to Nome”. Some of Jeff’s best Iditarod photography was included. This is one of those books that has stood the test of time. It has been reprinted many times and updated several over its lifetime. This new 3rd edition was updated in 2018 after Norwegian musher Joar Leifseth Ulsom won his first Iditarod that year. The update includes 25 new photos and updated information about what has been happening with the race since the last update. This is a book which tells much of the Alaska sled dog racing history before the Iditarod. The information and historical photos are quite special. The story continues into the history of the beginnings of The Last Great Race and renews with stories from the trail which are now legendary. You’ll see classic photos of Jeff’s from years past as well as images from very recent Iditarod races including 2018. This book is a must-have for any Iditarod race fan or for those wanting to understand the history and nuances of this great Alaska event. All books are hand-signed by Jeff and, if you so desire, can be personalized to you or anyone you like. Please be sure to specify any personalization information on the notes section at checkout. Otherwise the book will only be signed and dated by Jeff.